The Dollar Photo Club closes in less than two weeks, which means you will no longer have access to your images, member area and purchase history. Your renewals will not be processed, so you should not expect any charges on your payment method. By now, you will see that you are no longer allowed to update your billing information. All these prohibitions should help you recognize the importance of finding a better Dollar Photo Club alternative as soon as you can. 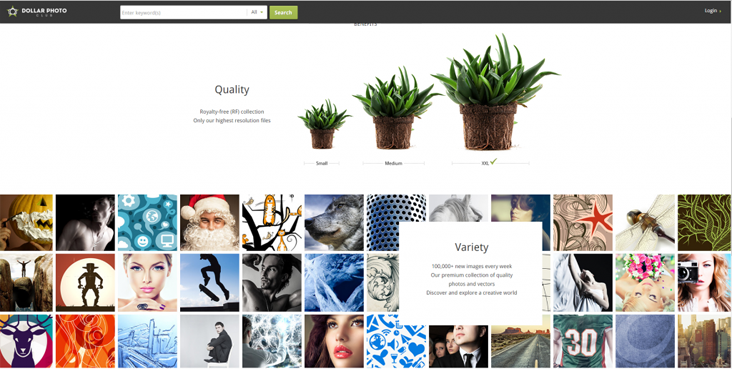 The World Wide Web is filled with numerous stock photo agencies you can choose from. The best of them offer high quality images for great prices. However, only one provides the same Dollar Photo Club experience that expired members, like you, are already used to. In fact, it offers twice as many high quality images for fairly the same price. We are talking about Stock Photo Secrets’ 99 Club – a stock photo website you would not want to miss. At Stock Photo Secrets, we understand your creative needs. We have been around the stock photo industry for over 10 years; thus we understand the importance of affordable images and smooth user experience to create the perfect projects. We hear your call for the best Dollar Photo Club alternative. In response, we give you 99 Club. It features everything you like about the Dollar Photo Club and a bit more. 99 Club has over 4 million royalty-free images in its collection and it continually grows with 60,000 to 80,000 new photos added every month. All these available for access when you sign up for a membership of $99 per year. You will be also entitled to download 200 images of any size, which is twice the number of image downloads from the Dollar Photo Club. If that number is not enough, you can always purchase additional images for $0.99 per image. All 99 Club images include the necessary license and releases. You can use them commercially or non-commercially to complete your creative projects. They are royalty-free so you can use them for as long as you like – even when you subscription expires. There is also no monthly download limit so you can download as many images as you need, whenever you like. Moreover, they are available in various sizes – small, medium and XXL – so you can choose whichever fits your needs. 99 Club has everything you love about the Dollar Photo Club, and a bit more. It has no auto-renew feature so you can keep your membership for as long as you like. You also do not have to worry about additional fees. All you have to do is download the images you need. Experience the best Dollar Photo Club alternative by signing up today. The offer is only available for limited customers so you need to hurry.